Information Technology Solutions - Career Areas | Careers | Mondelēz International, Inc.
Information Technology Solutions (ITS) mission is to ‘Empower Growth’ by connecting the MDLZ world (our employees, customers, consumers, suppliers and stakeholders) to drive sustainable growth through competitive solutions. A modern, highly energized function, ITS is a cornerstone of our growth agenda. It’s helping us to build our capabilities, reduce complexity, lower costs, and drive efficiency and operational excellence at the heart of our business. And its impact is far-reaching – from providing the platforms and tablets that boost sales, to delivering automated tools that enhance talent management; from creating an Integrated Digital Factory to improve manufacturing performance, to enabling our Research, Development, Quality & Innovation (RDQI) teams to move faster from concept to market. 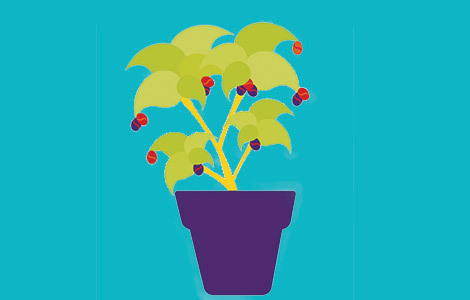 Be part of a team that is empowering growth for Mondelēz International. Strategy & Markets drives our business transformation and orchestrates our enterprise-wide technology strategy, ensuring that market needs are captured and transformed into solutions and adopted. Technology & Enterprise Architecture is evolving, maintaining and innovating our enterprise architecture foundation – enabling flexibility, speed to market and greater consumer engagement. This tower also owns Business Process Excellence (BPE) providing the services, tools, methods and governance to implement a management discipline across MDLZ. Decision Solutions enables enterprise master data and analytics capabilities. Analytics is crucial to the success of every function within Mondelēz International and we’re creating an internal and external data marketplace as a single source of truth. Enabling Functions partners with finance, Mondelez International Business Services (MBS), human resources (HR) and Legal (LIS) to ensure we deliver on our business goals. Growth is transforming the way we work together and connect with shoppers and our business partners. The team also co-leads our enterprise digital transformation and partners to deliver capabilities for sales, marketing and categories. Integrated Supply Chain (ISC) embraces order management, planning, procurement, manufacturing and warehouse management – all with the aim of getting our delicious products into shoppers’ hands. Project delivery partners with the ITS towers to deliver ITS projects across the enterprise. Service Operations manages both our application support processes and technology infrastructure operations through support contracts and partnerships. Roles include: Market Lead, Data Modeler, Enterprise Architect, Tower Lead, Change Manager, Technical Analyst, Project Manager, Solution Architect, Support Analyst, Capability Lead, Capability Implementation, Region Engagement, Global Solution Owner and Solution Delivery Expert. Do you want to gain exposure to a contemporary enterprise architecture that’s providing a platform to champion the digital era? Keen to demonstrate your agile mindset and entrepreneurial spirit? Eager to be part of a connected, collaborative community where people share ideas? As a technical expert, you’ll use your knowledge and skills to drive performance within the ITS arena. As well as ensuring you remain technologically up to date, we’ll teach you skills such as problem solving or influencing. Our managers enable their people to ‘be at their best’. You’ll manage strategic projects and take control of your own budget. Great emphasis will be placed on equipping you to develop and coach your team. Leaders set the overall strategic focus and direction, driving results and fostering a great place to work. You’ll work in collaboration with other senior leaders and functions, managing multiple relationships and competing priorities. Your career path will be unique to you, but we’ll provide the tools and inspiration for you to be bold in your decisions, move out of your comfort zone and make things happen for yourself. Most of your learning will be on the job. Projects are stretching and stimulating, and you’ll be immersing yourself in our iconic brands from a technical perspective. You can work across teams and geographies, while opportunities to share your knowledge, lead a task force or take part in volunteering activities will all boost your development. 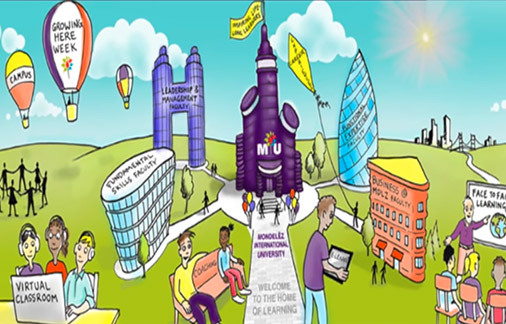 Mondelēz International University (MIU) offers many learning opportunities. It aims to inspire you to be a life-long learner. Courses will build your deep technical expertise, give you a 360 degree view of how we do business, and build technical and leadership skills. Beyond MIU, there are face-to-face workshops, courses, eLearning and webinars to equip you with the knowledge for today’s increasingly digital world. You’ll also learn from the people around you. This learning could come from shadowing a more experienced colleague, networking, mentoring or coaching. And play your part in bringing delicious moments of joy to the world! In ITS, we have a range of opportunities, in a number of locations, for people with varying levels of experience. Click to find your perfect job.